"The Clan Iver, known as the Clan Iver Glassary, from Glassary in Argyll, are claimed to have formed part of the army of Alexander II which conquered Argyll in 1221, and for their services received lands in the district. They had come from Glenlyon district, and in Argyll their principal possessions were Lergachonzie and Asknish, and other lands in Glassary and Cowal. The history of the clan after their obtaining lands in Argyll is very obscure, and it is asserted that in the thirteenth century branches of the family left Argyll and settled in Lochaber, Glenelg, and Ross, and it would appear that the Macivers were for sometime a "broken" clan, but in 1564 they appear to have recovered some of their former strength for in that year Archibald, 5th Earl of Argyll, renounced all claims to the calps of any of the Clan Iver, Iver of Lergachonzie agreeing to give the Earl his own calp. 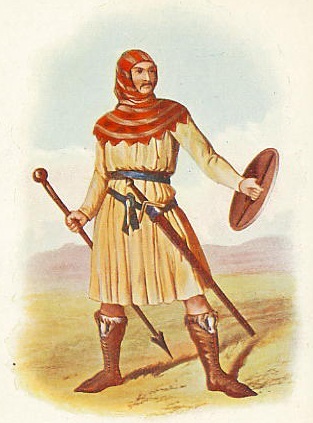 Duncan, who succeeded as chief of the clan about 1572, is described as of Stronshiray and Superior of Lergachonzie. In 1685 Iver of Asknish and Stronshiray was forfeited for aiding Archibald, 9th Earl of Argyll, in rebellion. Following the Revolution of 1688, Archibald, 10th Earl, restored the estates of Iver to his son Duncan Maciver on condition that he and his heirs should bear the name and arms of Campbell. Iver was thus the last chief of the Macivers, and Sir Humphry Campbell who died in 1818 was the last in the male line of Duncan Maciver of Stronshiray. The branches of the clan in Argyll all appear to have assumed the name Campbell, but those in the North and in Lewis retained the name of Maciver with greater tenacity." From: The Clans and Tartans of Scotland, by Robert Bain. CREST BADGE: A boar's head, couped, or. TRANSLATION: "I will never forget"